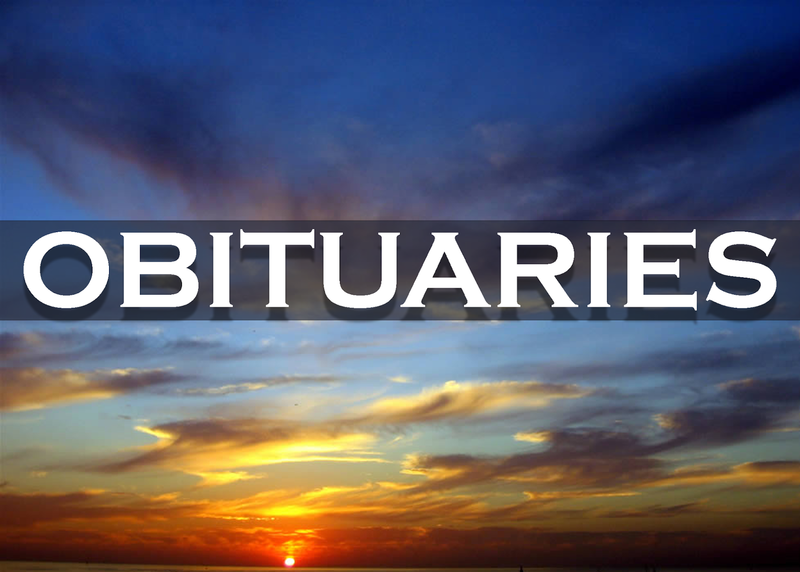 Joseph M. Sweeney, 80, Lost Creek, passed away peacefully on Friday February 1st. Graveside services with military honors will be held at 1:30 p.m. on Friday February 8th at St. Vincent dePaul Catholic Cemetery, in the Englewood section of Frackville. 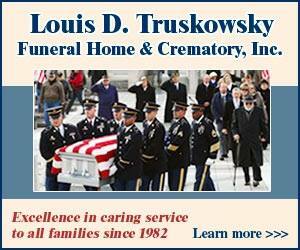 Thomas M. Sullivan Funeral Home, Girardville, is in charge of the arrangements. Steve Thomas Schwalm, age 61, of Lavelle, formerly of Valley View, passed away Sunday, February 3, 2019 at Geisinger Medical Center, Danville. He was born on Wednesday, May 29, 1957, in Pottsville, a son of the late Clair M Schwalm and the late Ruth A Coleman Schwalm. Steve was a 1978 graduate of Intermediate Unit 29, Mar Lin. He was preceded in death by his parents and by a step mother, Vilma 'Mim" Troutman Schwalm. He is survived by four sisters, Claire Nicksic of Lititz, Deborah Schwartz of Hegins, Jodi Spotts of Schuylkill Haven, and Carol Pasirba of Lavelle; a brother, Kevin Schwalm of Pitman; step mother, Joan Schwalm of Catawissa; and several nieces and nephews. Private services will be held at the convenience of the family at Buffington-Reed Funeral Home, Valley View. Burial will be made in St. Paul's Cemetery, Sacramento. In lieu of flowers memorial contributions can be made to Hillside SPCA, 51 S P C A Rd, Pottsville, PA 17901. Gale C. Fiorini, 68, of Minersville, passed away on Sunday at Lehigh Valley Hospital, Hazleton. Born in Pottsville, she was a daughter of the late Theodore Halye and the late Margaret P. Lloyd Halye Zimmerman. She was a 1968 graduate of Minersville Area High School. She worked at several local taverns, including Corby's, Curran Hotel, Washington Hotel and Lazarchick's. She was also a manager for Uni-Mart, Minersville. She was an associate member of the Minersville American Legion and the Sunny Rod & Gun Club. Preceding her in death were a son, Michael Pernick, in 1999; three brothers, Donald, David and William Zimmerman. Gale is survived by three sons, Robert Halye (companion, Mary King), Minersville, Joseph Sorokach, Minersville, and Brad Pernick (spouse, Barbara Roberts), Nuremberg; nine grandchildren, Rachel Halye, Erin Pernick, Joseph and Jacob Sorokach, Gage Hummel, Lydia, Emily and Derek Logan Pernick and Ciera Wills. She is also survived by eight siblings, Margaret Ann Kemble (spouse, Larry), Reinerton, Thomas Halye (spouse, Mary Jo), Cass Township, Rosemarie Zimmerman, Pottsville, Richard Zimmerman, Jr., Pine Grove, Cynthia DeWolff, Las Vegas, Randy Zimmerman (spouse, Karen), Harrisburg, Kevin Zimmerman (spouse, Rose), Girardville, and Todd Zimmerman (spouse, Laura), North Carolina; nieces and nephews. The family will accept visitors at Dutcavich Funeral Home, 200 Sunbury Street, Minersville, on Saturday from 6:00 P.M. Interment will be private in Mount Peace Cemetery, Branch Township.